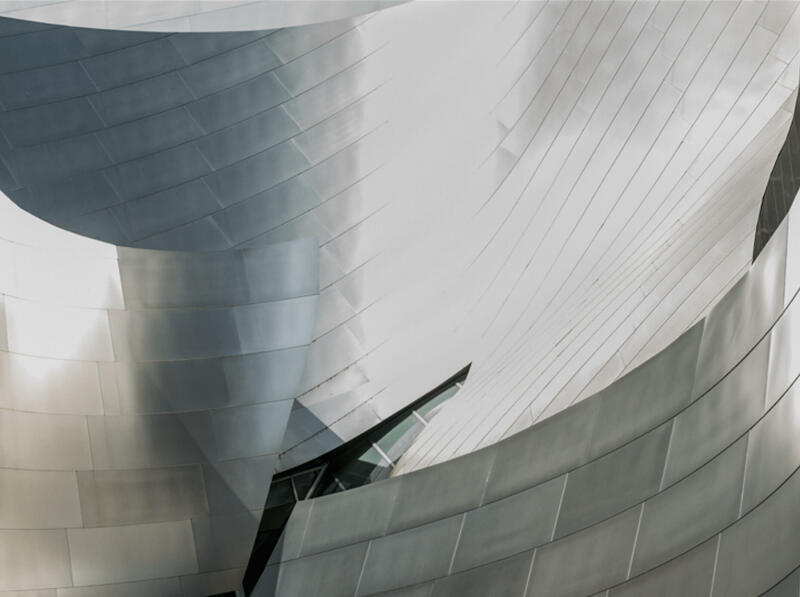 The Los Angeles Master Chorale is pleased to sponsor its third Young Composers Contest and seeks a new work to be premiered at its annual High School Choir Festival on May 18, 2018, performed by 16 members of the Master Chorale. 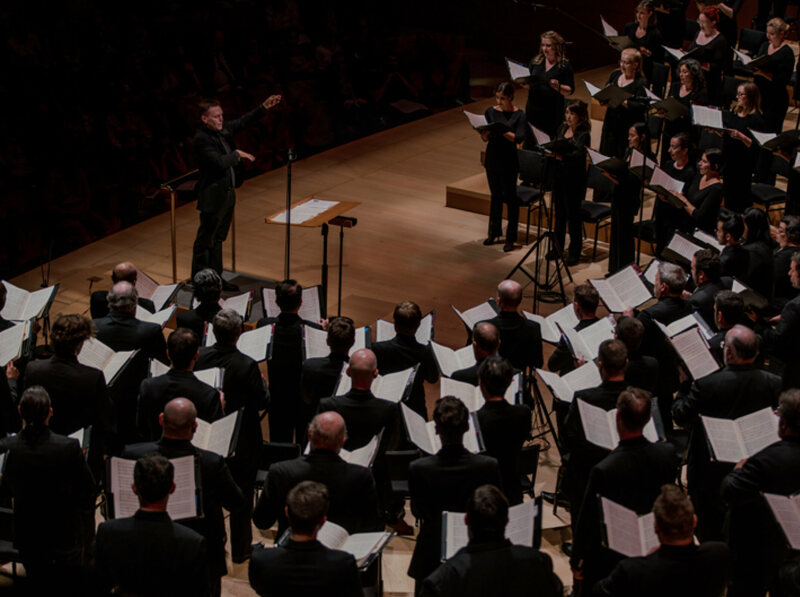 The Los Angeles Master Chorale High School Choir Festival, now in its 29th year, is the culmination of a year-long education program in which 900 high school students come together to sing as a massive choir under the direction of Artistic Director Grant Gershon at Walt Disney Concert Hall in Los Angeles. For more information about the HSCF please visit this page. 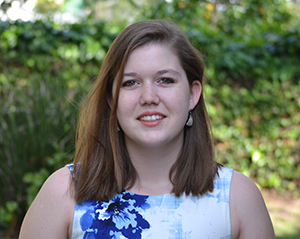 Lucy McKnight, an alumnus of the LA Philharmonic’s Associate Composer Program, directed by Sarah Gibson and Andrew Norman, is a sophomore at USC Thornton School of Music and a student of Ted Hearne. She was a 2016 winner of American Composers' Forum NextNotes High School Composition Competition. In July 2016, she studied at the International Summer Academy of Music in Ochsenhausen, Germany and earned an honorable mention in the Joseph Dorfman Memorial Composition Competition. Lucy’s chamber piece, “Iceland,” was performed by Wild Rumpus in San Francisco in January 2017. Lucy was Young Composer in Residence for Sunset ChamberFest 2017 where her string quartet “Misery made me a fiend,” which previously tied for first place in Webster University’s 2017 Young Composers’ Competition, received its west coast premiere. Her first choral piece, “Wir Juden,” won LA Master Chorale’s Young Composer Competition and was premiered at Walt Disney Concert Hall in April 2017. Lucy’s most recent piece, “wail,” was written for Transient Canvas, a bass clarinet and marimba duo, and was premiered at the Alba International Music Festival in Italy in June 2017, where she participated in masterclasses and workshops as the 2017 David Stock Undergraduate Fellow. WILLIAM CABISON is a conductor/composer born and raised in Los Angeles. In June 2017, he graduated with a B.A. Music in Piano Performance from the UCLA Herb Alpert School of Music, where he has studied with Walter Ponce and David Kaplan. He has performed in a number of L.A. venues as a pianist, including the Hollywood Bowl. 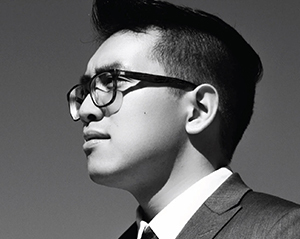 As a singer, he is currently a member of the Los Robles Master Chorale and has had the opportunity to sing in a Green Umbrella Series concert with the Los Angeles Philharmonic at Walt Disney Concert Hall, under the direction of John Adams. As a conductor, he has served as assistant conductor of the UCLA Chorale in Spring 2016 and has served as music director of HOOLIGAN Theatre Company’s production of Anything Goes in April 2017. And as composer, Cabison’s Moonrise, for SATB chorus and piano, was named winner of the 2016 Los Angeles Master Chorale Young Composers Contest. Moonrise was premiered in 2016 by the Los Angeles Master Chorale Chamber Singers in Walt Disney Concert Hall under the direction of Dr. Lesley Leighton. Most recently in May 2017, Cabison’s Loam, for unaccompanied SATB chorus, was commissioned and premiered by the Los Robles Master Chorale in Oak Park, CA, under the direction of Dr. Lesley Leighton. In his free time, Cabison enjoys perfecting his German and traveling.